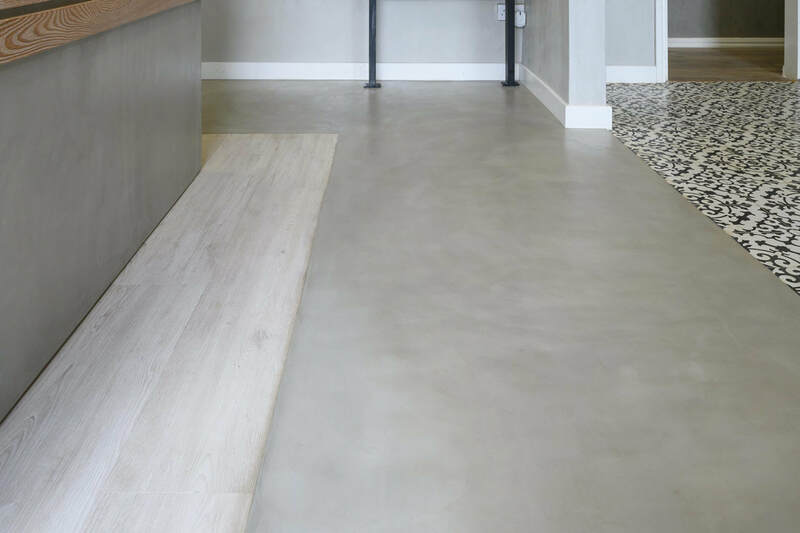 A coloured, thin film cement-based floor covering which is versatile and durable. It is a two coat system which produces a 1.6mm smooth decorative finish ideal for internal domestic renovations. Comes complete with powder and catalyst as a twin pack. Tiles - as long as the necessary preparation steps are followed to ensure adhesion. Refer to coating over tiles datasheet. 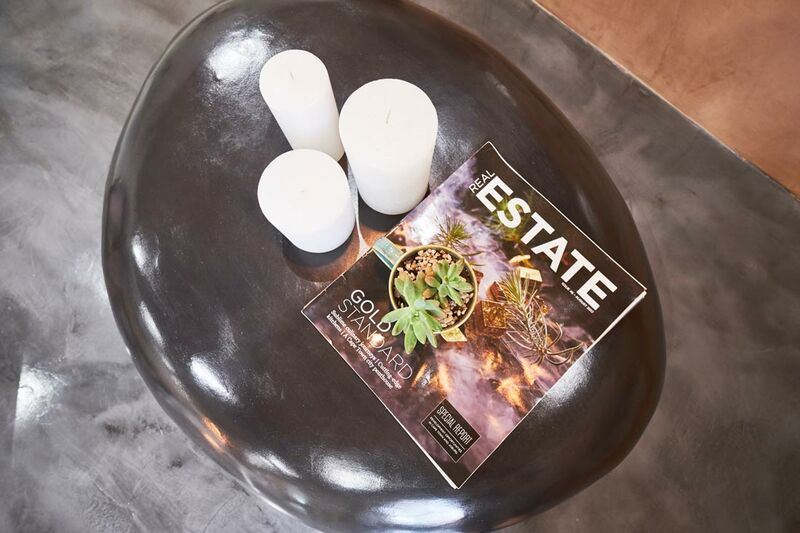 Pebble shaped coffee table coated with CreteCote Shale. ​CreteCote Grey combined with wood and tile inlays. 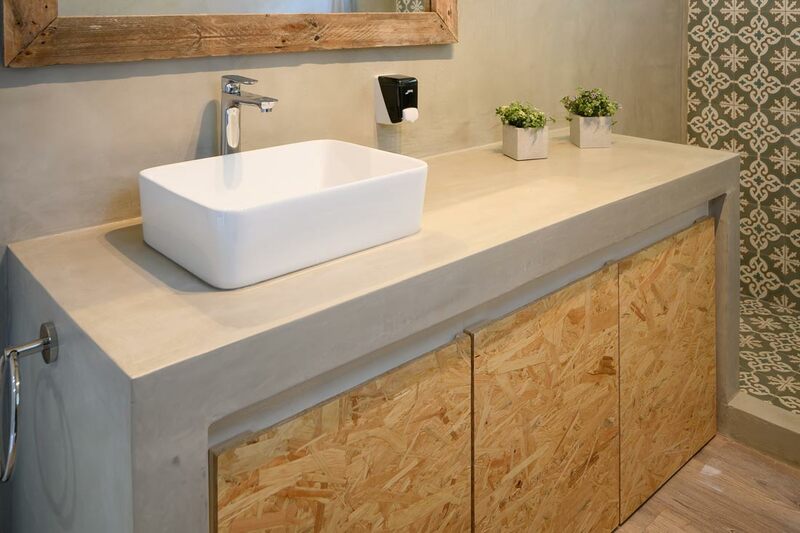 Vanities and countertops can be coated with CreteCote. 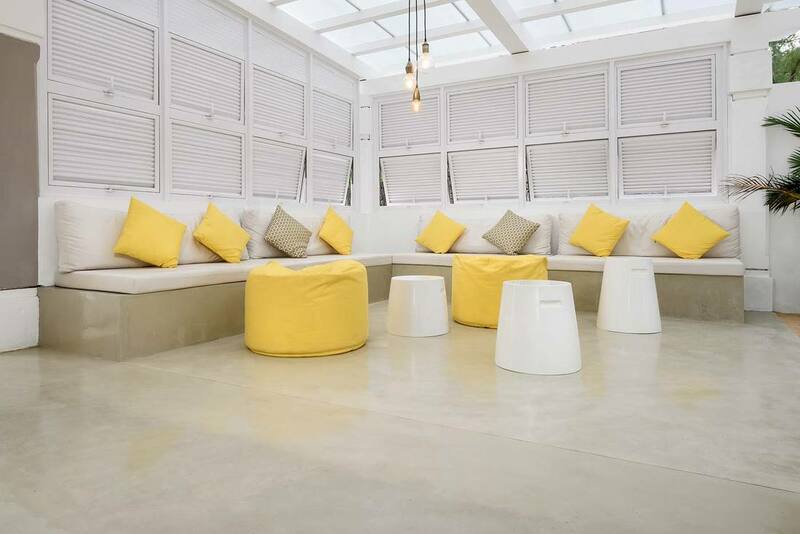 Built-in seating and floors coated with CreteCote. Q: Can my builder do the CreteCote application? A: If your builder has experience working with Cemcrete products and you feel confident in using them to do the application, then yes. Your builder can also attend our demo days hosted at our Academy in Johannesburg. For more info on these demo days, click here. Cemcrete can also provide you with independent contractor details in you area. Visit our contractors website and complete your project details in order for us to assist you with the best contractor for your needs. The independent contractors will provide you with a quote including the product and labour. Q: Can I use CreteCote as a wall finish? A: No. 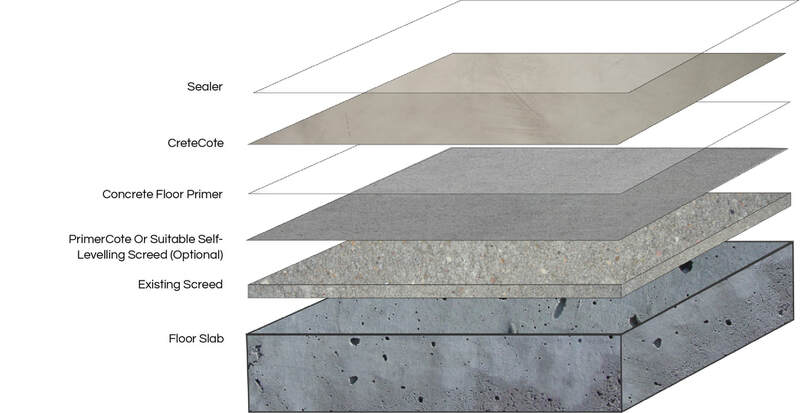 For a similar look use Cemcrete’s CemCote (trowel-on application) as your wall finish. However, CreteCote can used to coat a built-in vanity. Q: Can CreteCote be applied over tiles? A: Yes it can be applied over tiles as long as the necessary preparation steps are followed to ensure adhesion to the tiles. Any glazed tiles need to be sanded or ground to remove the glazed surface. Tiles such as slasto and clay should not be coated due to their friable and flaky nature. The first and best option is always to remove the tiles. NOTE: If the tiles were to come loose it will damage the Cretecote. Q: How slippery is a CreteCote floor? A: The finish in terms of slipperiness is very similar to a porcelain tile. A slip-resistant sealer, which contains a fine aggregate, can be used to give your CreteCote floor a bit more grip. Q: How long after the CreteCote application can you walk on the floor? Q: Can I use underfloor heating with a CreteCote floor? A: No unfortunately not, underfloor heating can be used with Colour Hardener. Q: Will my CreteCote floor crack and what measures can be taken to minimise the chances of it happening?